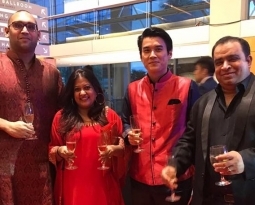 KUCHING: Asean International Film Festival and Award (AIFFA) 2017 Biz World financiers have allocated US$30 million to help Asean filmmakers to produce quality films. The was disclosed by Communications and Multimedia Minister Datuk Seri Dr Salleh Said Keruak who said that the allocation will be channelled through Southeast Asia Audio Visual Association (SAAVA). “For the first time, now there are financiers available for you to pitch your idea. This is a very generous form of support that I urge you to pitch for. “I am indeed delighted that such a facility is available at AIFFA 2017 which coincides with the 50th anniversary of Asean, reflecting the maturity in our regional growth,” he said at the AIFFA 2017 Biz World launching yesterday. He added that the Asean region is a growing market and will play an increasingly important role in the global economy in the coming years. 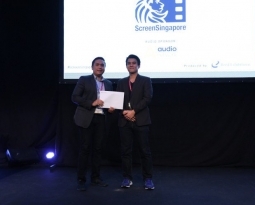 This year’s AIFFA Biz World will also present some opportunities for filmmakers to pitch their ideas, scripts and part production costs, or collaborate with other Asean filmmakers, he said. Meanwhile, Assistant Minister for Land and Air Transportation and Safety Datuk Lee Kim Shin said the content industry brings impact to the people due to the advancement of digital technology. The state government is not taking this lightly, realising the importance of having the right content developed and viewed by youths, and therefore, committed to developing digital Sarawak, he said. For this reason, the state government is fully supportive of AIFFA, as its contents are developed and promoted within the Asean region. Asean is made of 10 nations with population of 600 million people and AIFFA is one of the channels and a platform for filmmakers to create content and showcase Aseans rich song, dance, art, music and architecture in films. AIFFA Biz World which ends today comprises talks, networking and collaboration, sharing of experiences during production and exhibition. At the event, a memorandum of understanding (MoU) was signed between AIFFA and SAVAA to continue the partnership. It was signed by SAAVA founder and executive director Justin Deimen and AIFFA festival director Livan Tajang. A second MoU was also signed between the Ministry of Tourism, Arts and Culture, and Guangdong Juno Film & Television Co. Ltd. 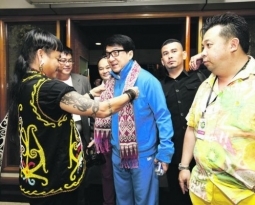 The latter will be filming part of the film, Shin Pau Chuan Chi or Mystery of the Lost Treasure in Sarawak.